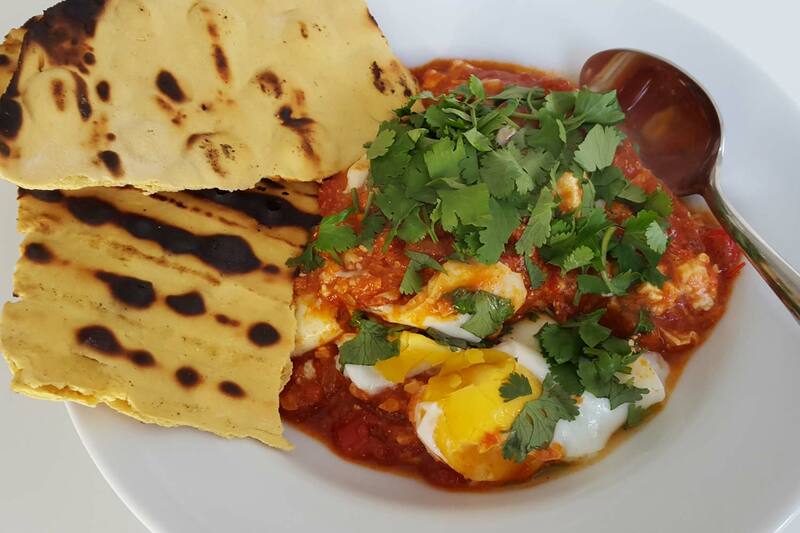 A yummy dish of poached eggs in a rich sauce of tomatoes, peppers and onions, Shakshuka is thought to have originated from Tunisia. We have combined with some flatbread using Pomora Extra Virgin Olive Oil. Delightful! Gently saute the onion and red peppers until completely soft approximately 20 minutes. Add the garlic and continue to saute for another 3 minutes. Add the tomatoes, cumin, paprika and harissa, stir well and allow to simmer for around 20 minutes until the sauce has thickened. Transfer the sauce into an oven-proof dish, crumble in the feta cheese and stir in. 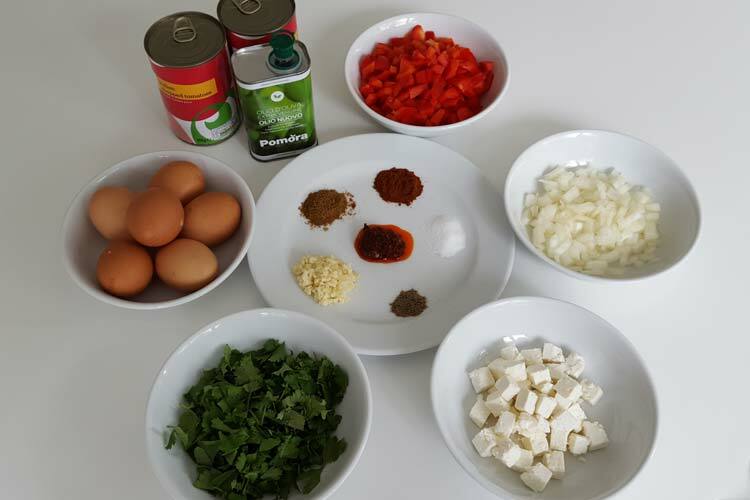 Crack the eggs onto the top of the sauce and bake in the oven at 210 C for around 10 minutes. The egg whites want to be set but the yolks want to still be runny. 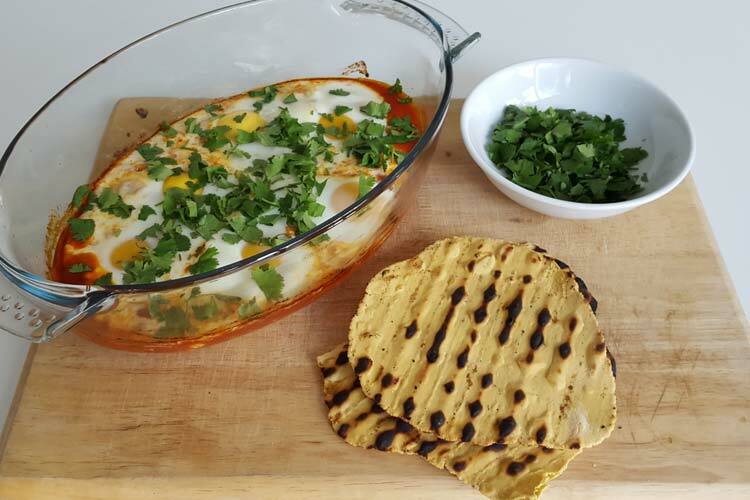 Sprinkle the chopped coriander over the top and serve with some flatbread. Put the flour and salt in a bowl and mix together. Add the Pomora EVOO (Extra Virgin Olive Oil). Slowly add the water stirring all the time. The ingredients should come together to form a dough. If the dough is too wet, add some more flour. If the dough is too dry, add a little more water. Split the dough into six equal pieces and roll each out to a thickness of approximately 2mm with a rolling pin. Cook each flatbread in a frying pan or on a chargrill / BBQ for 2 minutes on each side until golden.